Home | Blog | Summer Camp! 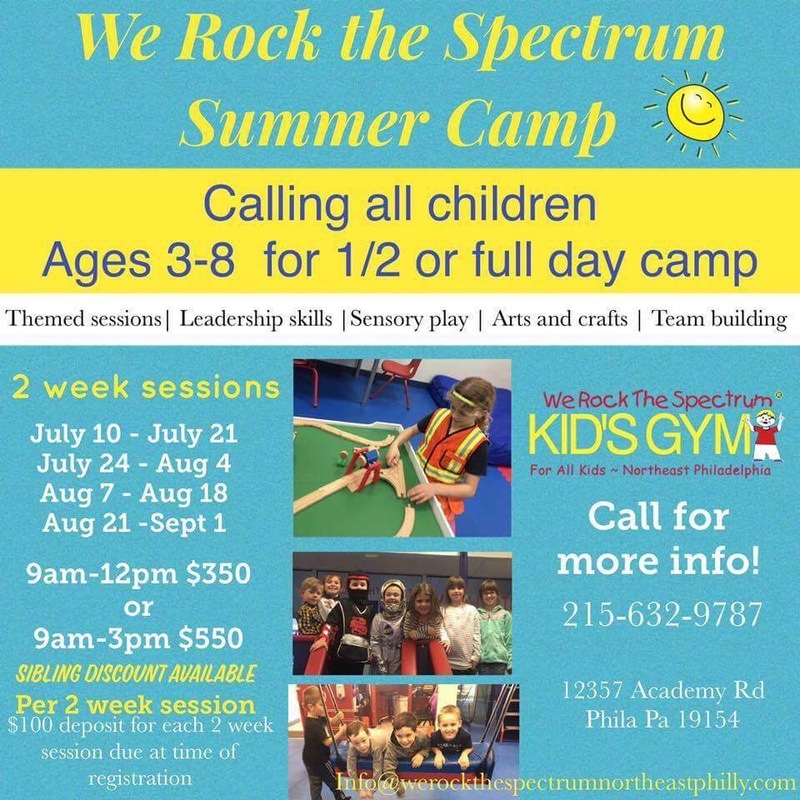 We are so excited to offer our first Summer Camp program at We Rock the Spectrum Kid’s Gym – Ne Philly! Book as many 2 week sessions as you would like! Two options are offered – Morning Session from 9am to 12pm and Full Day Session from 9am to 3pm. Ages 3 and up. Potty training is NOT required. We offer a 1 to 4 staff to child ratio. 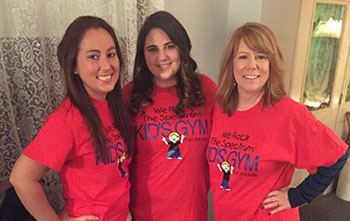 TSS or one to one care is permitted and welcomed to accompany children at our facility, but is the parents responsibility to provide that service. Call 215-632-9787 to reserve your spot as space is limited! A $100 deposit per session is required. How Do I Reserve My Child A Spot In Summer Camp? Reserving your kiddo’s spot is easy! You can call 215-632-9787 or send us an email at info@werockthespectrumnortheastphilly.com to register. What Do Kids Do During the Summer Camp Program?